November 21, 2018, Santa Rosa—The Santa Rosa Junior College (SRJC) Dance program presents their second annual Winter Spotlight Dance Gala to take place at the Black Box Theater, Tauzer 951, on Dec. 14 and 15 at 7:00 p.m. General Admission tickets will be $10, $5 for students with a student ID card, and free for children under 12. Tickets go on sale at the door one hour before the event or can be purchased through an SRJC Touring Dance Company (TDC) member. Proceeds will benefit the SRJC dance department. An intimate celebration of dance theater and the talent of SRJC students and faculty, the event will feature new work by the SRJC TDC, faculty and student choreographers. With Directors Casandra Hillman and Tanya Tolmasoff at the helm, the 2018/2019 TDC creates a new tradition of dance performance by incorporating music, movement, spoken word that promotes a deep connection to the spirituality of dance and the dance community in which we live. Through the integration of modern, jazz and cultural dance genres SRJC’s most artistically and technically advanced dancers create a sacred space to explore the essence of the light and dark of the human experience and foster dance’s natural storytelling elements. 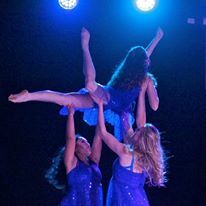 TDC’s focus is to offer the audience a unique view of human struggles, tragedies, and triumphs by using movement as a way to reinforce the importance of community and encourage young dancers to seek their artistic truth.